Soft drink manufacturers use carbon dioxide, or CO2, to create carbonated drinks. CO2 is injected under pressure to create the "fizziness" of these drinks. The carbon dioxide is dissolved in the liquid and when you open the bottle or can, the carbonation escapes. 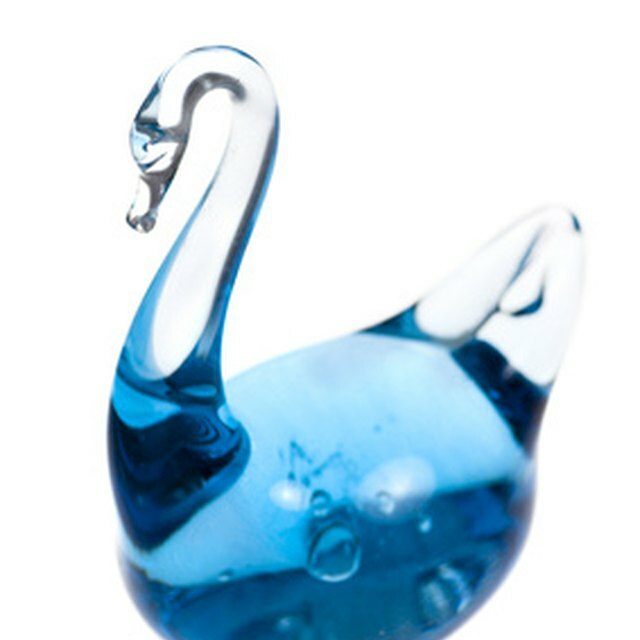 Different types of liquid are able to hold different amounts of carbon dioxide. 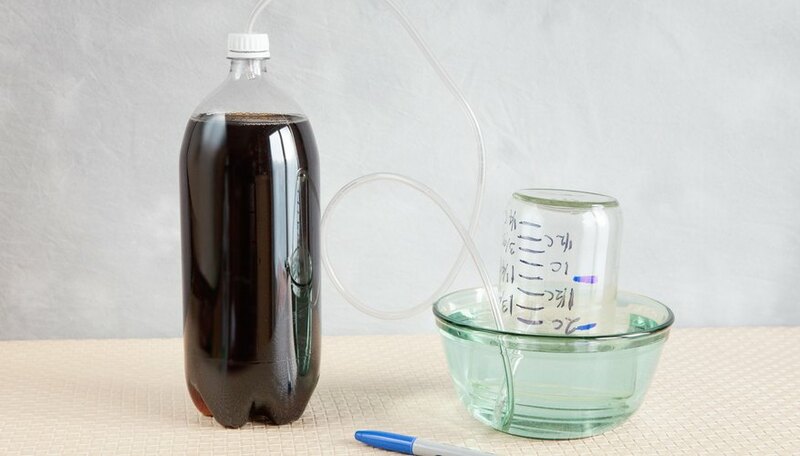 Using simple household items and some careful technique, you can measure the amount of carbon dioxide in soda. Use a knife or box cutter to make a hole in the top of the cap from a two-liter bottle. Adults should help children with this step.A simple X cut should provide enough space to insert the aquarium tubing. Check to make sure air flows freely through the tube when it is inserted into the cap. 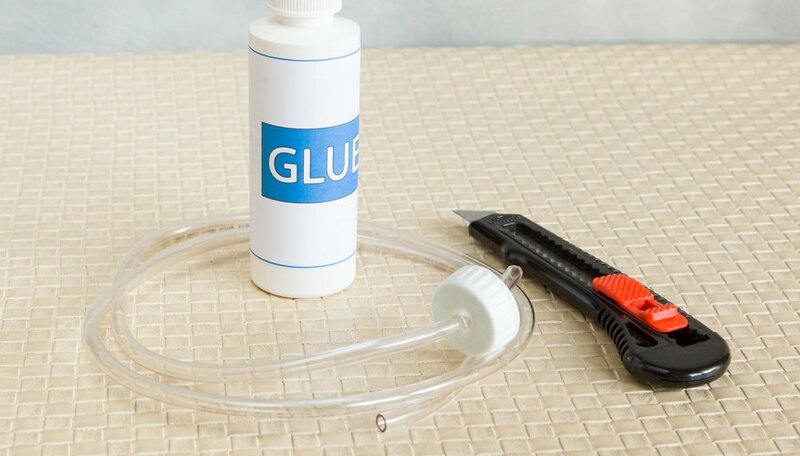 Use glue to seal the cap around the tube so gas cannot escape. Allow to dry completely. 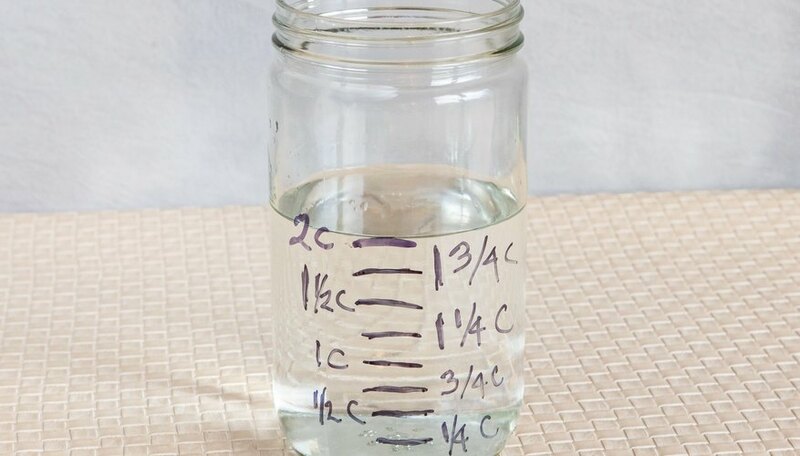 Mark the glass jar by filling it with ½ cup of water at a time and marking the level on the jar after adding each additional ½ cup. If more accurate data is required, use a ¼ cup measurement. This will provide an easier measurement for the experiment. Fill the bowl ¼ full of water. Fill the glass jar with at least 2 cups of water. Put the full glass in the bowl of water in an upside down position. 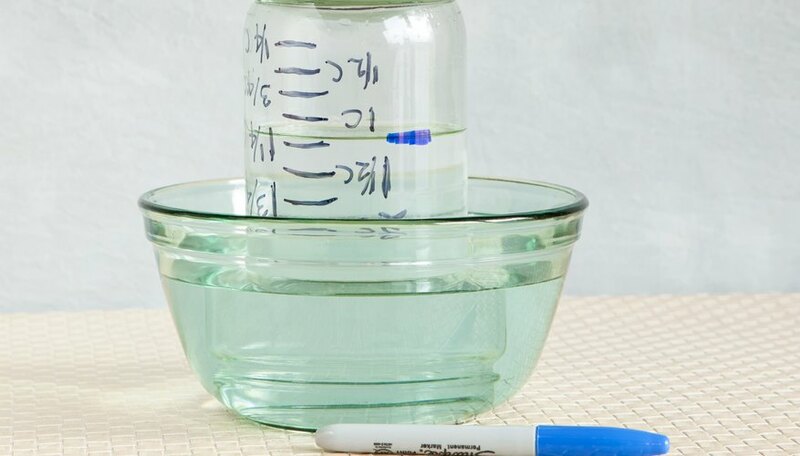 The water in the bowl should keep the water from escaping the glass jar. Note the water level before the experiment begins with a blue marker. Insert the end of the aquarium tube that is not attached to the cap under the glass jar. Remove the cap from the bottle of soda to be tested and quickly put the modified cap onto the bottle. The gas escaping from the soda should travel down the tube and into the glass jar. It will displace the water in the jar. Mark the final water level with a blue marker and make a note of the measurement. Test a variety of drinks to determine which has the most carbonation. Carbonation will escape more slowly from a cold drink than from a warm one. It will take at least one full day for all of the carbonation to escape from the drink, so performing the experiment on several drinks at the same time may be required. Place a heavy object on top of the glass jar to prevent it from tipping over in the bowl of water as the carbonation displaces the water. THE FIZZ FACTOR – WHICH SODA HAS THE MOST POP? Marcotte, Dawn. "How to Measure Carbonation in Soft Drinks for a Science Project." Sciencing, https://sciencing.com/measure-soft-drinks-science-project-5731377.html. 25 April 2018.